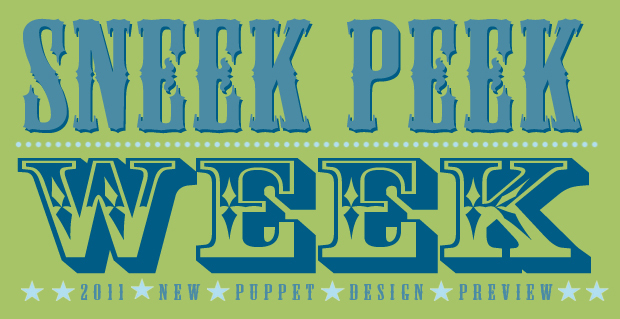 Its hard to believe, but we’re just about at the end of Sneak Peek Week. 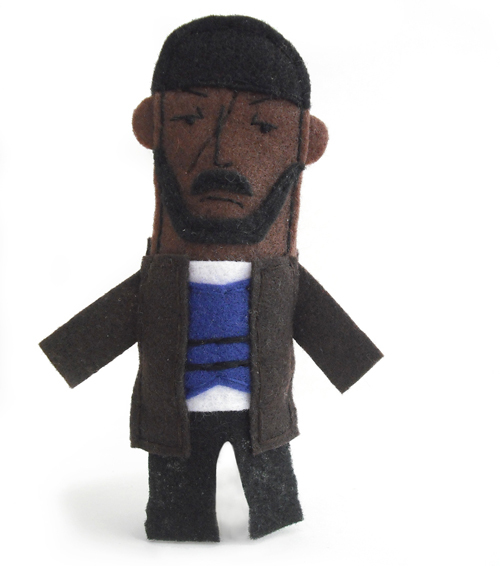 To finish up the batch of new puppets that’ll debut on Monday, I offer you the final Sneak Peek, Number 6. Similar to Peggy Olsen, the first new design this week, Sneak Peek Number 6 is another career gal, though slightly more modern. She’s endlessly quotable and has sparked her share of catchphrases and, also like Peggy, has a bit of a love/hate relationship with an older dude role model in her life. Oh, and she loooooooves Oprah. Also, for those keeping track, I did originally say that I’d be debuting seven new designs this time around, but I’ve decided that one puppet I was going to use could use a little more refining before she’s ready for her close-up. She’ll be back at a later date, though, I promise! 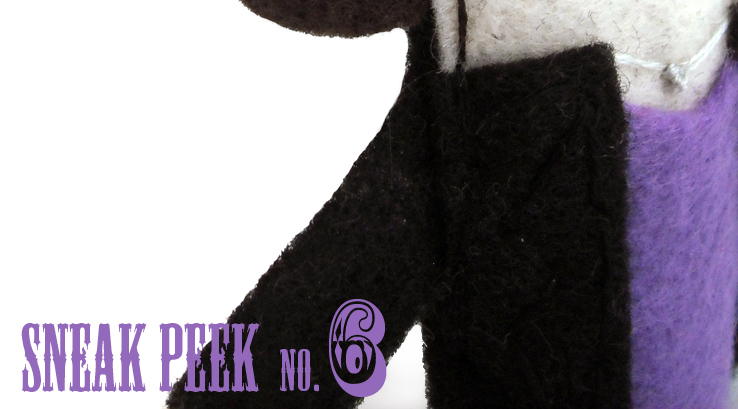 So, if you’ve got a guess about the identity of today’s Sneak Peek Number 6, leave it in the comments section and you’ll be entered into this week’s final giveaway to win a $10 gift certificate to the shop. So get guessing, people!